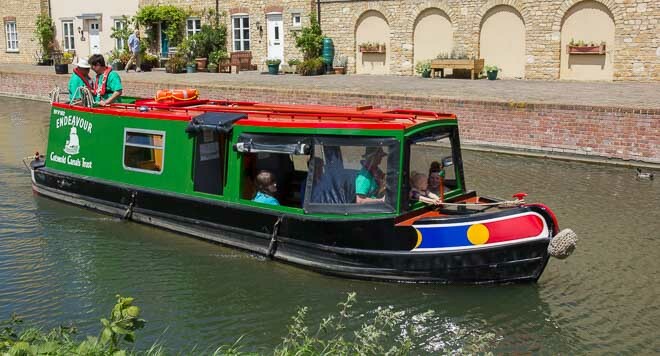 The Cotswold Canals Trust operate trip boats which can be enjoyed by the public on a 'turn-up and go' basis, or are available for private charter. 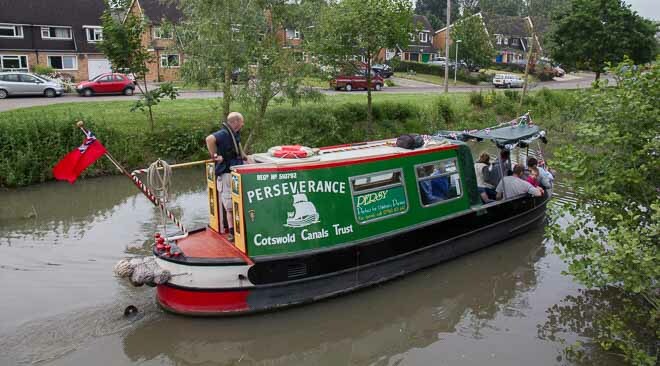 For further details on boat trip dates, timings and prices, visit the Cotswold Canals Trust website. Boarding west of Ebley Mill Bridge near the Stroud District Council Offices (GL5 4UB). 'Perseverance' is also available for private charters. Boarding adjacent to the Cotswold Canals Trust Visitor Centre at Saul Junction. 'Endeavour' is also available for private charters. Boarding from the Riverside Park, Lechlade, GL7 3AL. 'Inglesham' is also available for private charters.